The prize pool numbers are in for the 2013 PokerStars European Poker Tour Monte Carlo Grand Final €10,600 no-limit hold’em main event: a total of 531 players turned out to build a €5,310,000 ($6,975,747) prize pool, down 20 percent from last year’s 665 entrants. The first-place prize will be €1,224,000, down from the €1,350,000 that was awarded to Moshin Charania for winning the same event last year. The EPT Grand Final, first played in 2005, saw four year’s of growth from 2006-2009, but since then attendance has been down year-over-year. 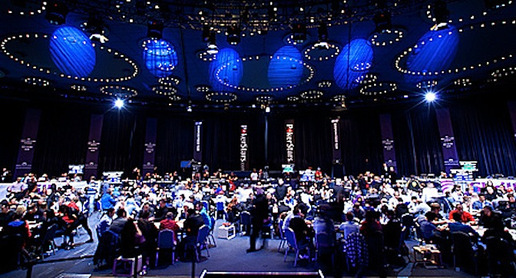 The 2011 running of the EPT Grand Final took place in Barcelona instead of Monte Carlo.